is a list of criteria/questions that you should keep in mind as you evaluate a book, article or website. Use this handout (from California State University - Chico) to help you determine whether a source provides good information... or not. Walk-ins are welcomed but not guaranteed. Register for an appointment.online or call 994-5315. Citation style sheet for American Psychological Association style. Citation style sheet for Modern Language Association style. Citation style sheet for the Chicago Manual of Style and the derivative Turabian style. From Purdue University. Has description and examples for APA, MLA and Chicago styles. 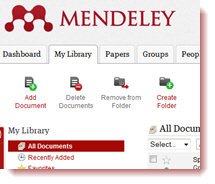 These are the most commonly used citation and PDF managers and are useful if you are working on multiple projects at once that use the same citations, if you have many citations you want to retain and use, and/or if you are working on a theses, dissertation, or a work for publication. The main headers link to more a detailed guide on each system. Free for MSU students, faculty, & staff. See Installation guide. 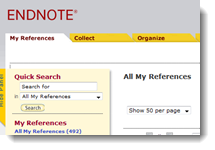 Organizes citations, take notes, and format references in Word. Use to organize citations, take notes, and format references in Word.